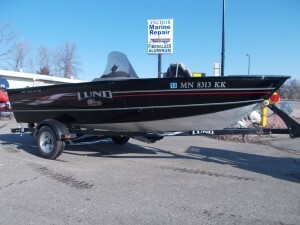 Lund has been a fixture in the boat industry since Howard Lund built his first aluminum duck boat back in 1948. Lund boats have always been built with an extreme precision to detail, which is why if your boat’s hull has been damaged, our team at Anchor Marine Repair will bring that same attention to detail to help repair your boat. Most Lund boats and pontoons are made from aluminum, which can make for a challenging repair especially when it comes to the boat’s hull. While aluminum is by its nature a very resilient material, if damaged it’s important that a Lund boat repair expert is hired to bring the boat back to its original glory. At Anchor Marine Repair most of our boat mechanics have decades of experience helping boat owners with all types of repairs. We’ll use the same level of detail that we use on our own boats when it comes to repairing your prized Lund boat. Whether your aluminum boat has an unexplained leak in the hull or you’ve been involved in some type of accident, there really is no one else you should call in the Minneapolis/St. Paul area other than Anchor Marine Repair. One of the most common issues with getting your aluminum boat repaired is simply getting it to a boat mechanic who can actually do the work. This is why we long ago instituted a delivery service that’s available to customers who live within 250 miles of the Minneapolis/St. Paul area. Simply give us a call and we’ll arrange to pick up your boat for repair and bring it back to you once it’s ready to hit the open waters once again. 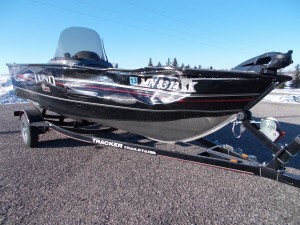 With Spring finally here, it won’t be long before you want to get back out on the water on your Lund aluminum boat. Don’t delay as our massive indoor boat repair facility is already packed with other Minnesota residents trying to get ready for warmer weather. Regardless of the type of damage your Lund boat has experienced, our team is up to the task of repairing it quickly and efficiently. We can always be reached by phone at (763) 972-3540 or via email at service@anchormarinerepair.com. We look forward to helping you get your boat repaired so you can head back out and rekindle the love you’ve always had for your Lund boat.